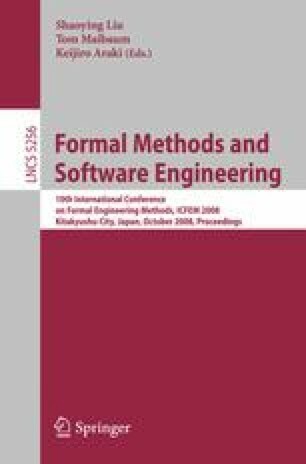 This article introduces a fully automated verification technique that permits to analyze real-time systems described using a continuous notion of time and a mixture of operational (i.e., automata-based) and descriptive (i.e., logic-based) formalisms. The technique relies on the reduction, under reasonable assumptions, of the continuous-time verification problem to its discrete-time counterpart. This reconciles in a viable and effective way the dense/discrete and operational/descriptive dichotomies that are often encountered in practice when it comes to specifying and analyzing complex critical systems. The article investigates the applicability of the technique through a significant example centered on a communication protocol. Concurrent runs of the protocol are formalized by parallel instances of a Timed Automaton, while the synchronization rules between these instances are specified through Metric Temporal Logic formulas, thus creating a multi-paradigm model. Verification tests run on this model using a bounded satisfiability checker implementing the technique show consistent results and interesting performances. Work partially supported by FME Small Project and by the MIUR FIRB project “Applicazioni della Teoria degli Automi all’Analisi, Compilazione e Verifica di Software Critico e in Tempo Reale”.